Whether it's the bass guitar or synth that tickles your bottom-end receptors hardest, there's always a need for more bass, and that's exactly what we're providing in this special low frequency edition of SampleRadar. A variety of instruments were used to create the loops 'n' 'lines we're offering, and there should be something for everyone. The bass boutique samples are divided into five folders, each of which is labelled according to the tempo of the sounds contained within it. 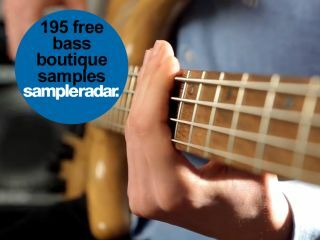 The bass boutique samples are supplied in a zip file, so you'll need to extract them before you can see them. Enjoy!